We produce resources to assist you in taking charge of life. We have some gifts for you, and we have resources for sale through our online shop. Please contact us for wholesale rates. Choose one or more cards according to what feels right in the moment. They help you to intuitively access the information you need to focus on the choices you have on how you want to be right now, right here. Select a card or cards to check your inner compass in any situation. The cards are designed to introduce the skills of inner control and decision-making. They offer an educative opportunity to realise that all choices are internally created. Assists you to evaluate your options and opportunities and guides you in making choices that are both needs satisfying and express your own integrity. This set of cards is developed from the work of William Glasser and draws on the Science of Yoga, offering the user the opportunity to draw on both new and old traditions of human development and growth. The artwork is from an original painting by Bibi Barba, called Desert Flowers, inspired by the beauty of the desert after rain. Text: Kalikamurti Suich. Art: Bibi Barba. Design and editing: Joy Taylor and Anita Suich. Om (the symbol on the cards) is the vibration of peace. Use these cards when you seek a peaceful path of union and integrity with your self. Choose one or more cards to start your day, or to help you ‘re-set’ during the day. 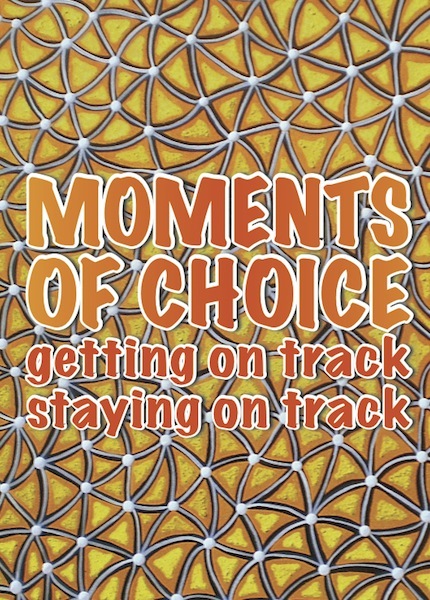 Awareness is the key to making ‘good choices’; choices that enable us to be the best of ourselves, to add to the wellbeing of the world and people around us. More awareness allows better choices enabling us to positively evolve. Providing moments to reflect on your current behaviour, experience, beliefs or sensation right now. 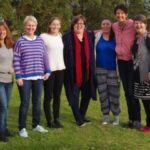 Assisting you to be more in tune with your own being and personality, providing moments for you to choose being more responsive and less reactive, and offering immediate strategies to refocus. 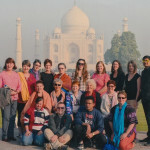 Moments of Awareness has been developed using the science of yoga particularly Satyananda yoga, Satya meaning truth and ananda meaning bliss, assisting you to find and live from the bliss of your own inner truth. The artwork is inspired by the sound of Om/Aum and the sound of the didgeridoo. Text: Kalikamurti Suich. Artwork: Bibi Barba. Design and editing: Joy Taylor and Anita Suich. Opportunities to take a short break, create space, relax and recharge at work. Designed specifically for the busy work environment. Can be used either individually, in a staff meeting or other staff environments to assist with staff wellbeing, focus and relaxed decision-making. Can be practiced while sitting at the desk. Providing opportunities to problem-solve creatively and let go of work irritations, these practices offer a way to have a conscious ‘powernap’ and value-add to the day. Specifically designed for people experiencing chronic pain or illness. Provides opportunities to offset exhaustion. Allows the mind body complex to relax, recharge and refocus and assists with the healing processes at a fundamental level. 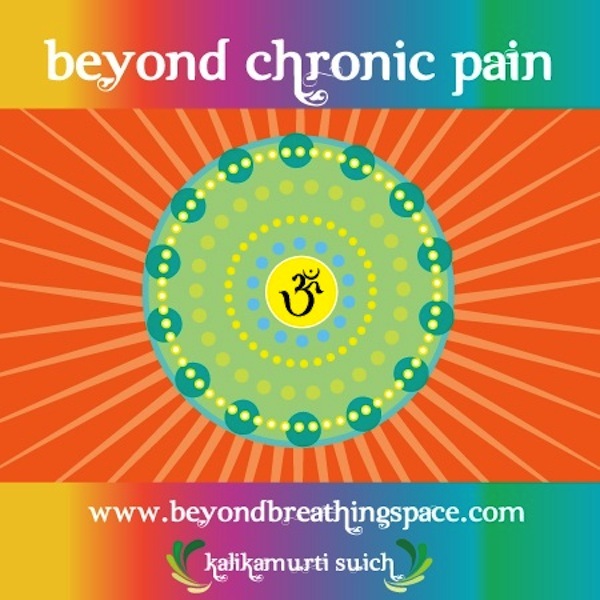 Provides opportunities to remind the mind and body of its capacity to be well and pain-free through visualisation. Easy to use and compatible with any other health regime. Ten Tips – text: Kalikamurti Suich. Design and layout: Joy Taylor. Designed to be used at home to create short spaces to refocus and recharge and to assist you to be the best you can be at home. 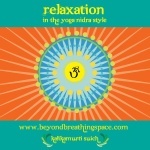 Offers a range of practices to assist the mind body complex to relax and release tiredness. Some practices offer the opportunity for you to problem-solve or visualise alternative options. Nothing to do but take time out and follow the instructions of the voice. 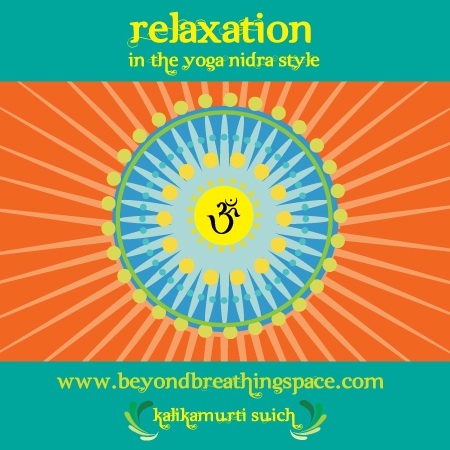 This compilation comprises relaxation practices in the classic Yoga Nidra tradition, designed to quieten the mind, rest the body, and calm the emotional state. Each practice provides clear instructions to follow. Simply find a comfortable reclining position, lying on the floor or sitting, and follow the instructions of the voice. The voice: Kalikamurti Suich. Artwork: Jo Boniface. This beautiful compilation is designed for use during and after pregnancy. The exercises are designed to assist the body and mind with practices suitable for pregnancy, and during and after the birth. Designed for professionals who want to teach awareness practices to their client group. Self explanatory and easy to use, the kit provides all resources needed to start teaching awareness practices. 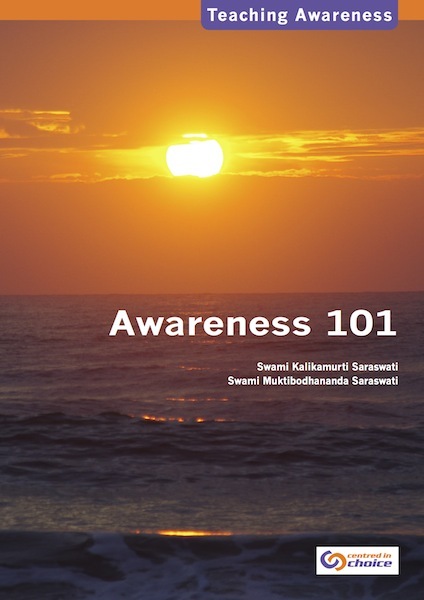 Includes rationale, text, short experiential learning opportunities and two audio recordings of awareness practices. 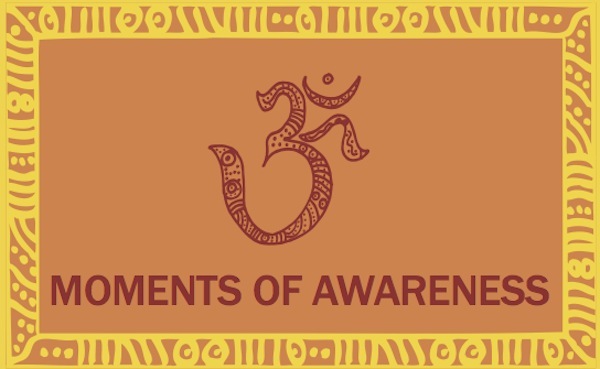 Awareness assists the practitioner to be more in tune with their own needs, personality and behaviour, therefore less reactive and more responsive. Created to enhance professional skills, Awareness 101 is the first of a series of scaffolded toolkits for working with clients in an empowering and sustaining way.